HomeDealsUpgrade Any Free Version To Propellerhead Reason 10 For Only $99/99€! 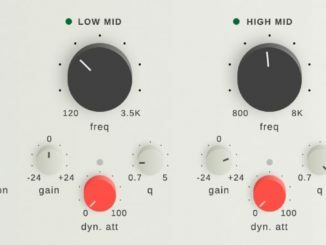 Recently, the Propellerhead Software has dropped the price of the Reason Adapted/Essentials/Limited upgrade to R10 to just $99/99€ (normally $299/299€). To be honest, It’s never been so easy and inexpensive to get a full version of Propellerhead Reason 10. If you follow the next steps, you can get the full version of Reason 10 for under 100€/$. That’s an absolute no-brainer to try out or to jump on the Reason train. As you will notice, this special upgrade price is only available for certain Reason versions with limited features (Adapted, Essentials or Limited). What most of you don’t know, you have one of these versions in your studio. Since you often buy a new MIDI controller during your musician’s life, you often get free software with these purchases. For example, every KORG MIDI controller (nanoKONTROL 2,…) comes with a software bundle where a version of Reason Limited is also included. In the packaging, you can find a card with a code with which you visit the KORG License Center website and where you can unlock the serial numbers for the included programs. These KORG MIDI controllers includes a Reason Limited version that gives you access to this special deal: nanoKEY Studio, nanoKONTROL Studio, microKEY Air series, microKEY series, Triton Taktile, nanoKEY 2, nanoKONTROL 2, nanoPAD 2. Also, you get a free limited version inside the Line 6 POD Studio recording systems. If you don’t have a Limited or Adapted version in the studio, then there is an alternative to how you can benefit from the offer. It gets a bit more expensive but you still save 50% OFF the normal price. Since this offer also includes the Essentials version, you can easily buy this online via download. These cost around $69/69€ and includes a Reason 10 version with few features and sound content. Nonetheless, this version also opens the door to this very good deal. With the additional upgrade of $99/99€, you come to a price of about 169€/$ which is a very good price/performance factor for a DAW. Alternatively, you can buy a KORG controller from the nano-series for about 55€ and then upgrade to the full Reason 10 version at a lower cost ($154/€). Easy. Your Reason Adapted, Essentials or Limited must be registered in your Propellerhead’s user account in order for you to activate the upgrade. The upgrade is available now online via direct download or from your local shop. Reason 10 includes all known Synthesizers such as Thor, Malstrom, etc. but also many new features. The Propellerhead’s Reason 10 Upgrade from Adapted, Essentials und Limited is now available for $99/99€ for limited time. Unfortunately, the company has not announced an exact end date of the deal. 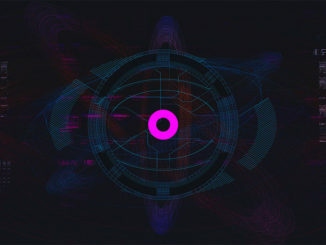 Save 35% OFF Glitchmachines Plugins & Sample Libraries In Summer Sale! Urgh… say there’s no way of tracking down a license if you’ve misplaces the card you got from your nanoKey…? Not true guys. Let me save you some time. I used the card that came with my nanokey studio. That gave me reason limited. Unfortunately when I click on the deal for 129€ on the reason website it says this version doesn’t qualify for the update to reason 10. Sorry if that came across snarky. I’m in Ireland so it’s probably a regional thing. Or maybe I’m just unlucky! Just to update, I contacted support. They mailed back with a link that allowed me upgrade to full 10 for €99, just like you said. Thanks for highlighting this, I would have missed out! Anyone with spare Limited edition willing to help, please? I have a spare Reason Essentials 8, if you are interested. Yeah great propellerheads, thank you very much that after paying about 400.00 bucks for the full retail version of reason 9 one year ago, now folks can get reason 10 for 99 bucks via upgrade from essentials which sells for about 60 bucks…..very nice! Also, thanks a lot that as a full retail version user if I want to upgrade to version 10 I have to pay 129.00 instead of 99.00 as with reason essential…….so it’s 160 vs 529 bucks in total….very, very cool, thank you very much propellerheads. Obviously they take their full paying customers as a bunch of complete idiots. I agree Al, I’m on a purchased 7 $399.99 and pay $129, Propellerhead Reason pricing screwed this one up for loyal customers! Man I feel lime that idiot. What was i thinking when I would buy a full version software to think i would get lower priced upgrades than others in the future. “REASON” THERE IS NO REASON IN THIS pricing upgrade whatsoever! Oops! I’m sorry, I was wrong. I bought the KORG NANOKONTROL2 and it included – among other things – a license for REASON LIMITED. Yesterday I could upgrade it to REASON 10 (full) for just 99 €. Perfect!